Today’s social media marketing landscape may be dominated by Facebook and YouTube, but to overlook the unique possibilities that Twitter offers would be to miss a trick. Although often discounted in the public imagination as a time-sink of triviality or a playground for trolls, Twitter in fact has over 300 million loyal, active monthly users, and by any standards this is a large potential market. What’s more, there doesn’t tend to be a huge overlap between Twitter users and adherents to other platforms, and so with Facebook garnering most of the marketing attention, Twitter often represents an untapped opportunity. 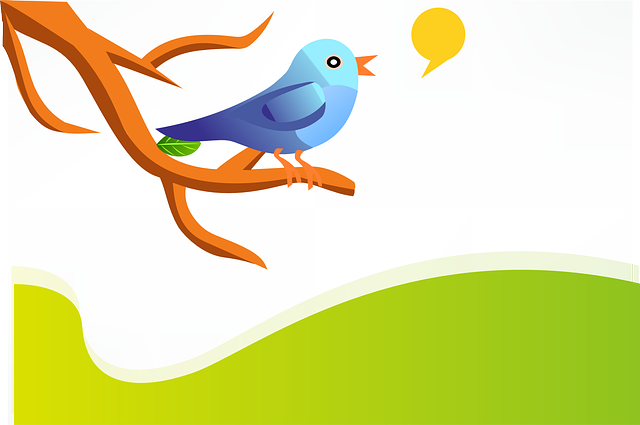 How should you approach leveraging Twitter to promote your site? Many newcomers to Twitter marketing make the mistake of being overly commercial in their activity, constantly linking to their websites in an attempt to drive traffic. This rarely works well, and is usually counterproductive, generating mainly annoyance. As with most social media, the best tactic for Twitter marketing is to concentrate on building relationships and developing a loyal following who appreciate your posts for their intrinsic value. This way, when you do inject a commercial message into your feed, it will have greater impact thanks to the reservoir of goodwill your previous, less-commercial postings have built up. 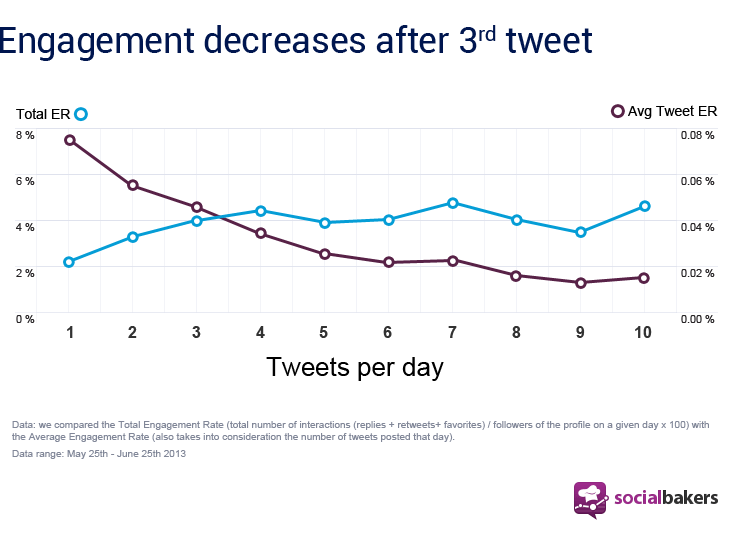 Socialbakers found that, after looking at 11,000 tweets from top brands, that three tweets per day is the point where brands start seeing big engagement. In many ways, #hashtags are the foundation of Twitter, and using them properly is vitally important. Picking the right tags to include in your post can greatly extend your reach into targeted audiences, but if you go overboard, you risk your posts being seen as spam. Avoid using trending hashtags irrelevantly, simply to insert yourself into a conversation you have little business being involved in. This will generate nothing but acrimony towards your brand. Also, don’t overload your tweet with multiple hashtags; one well-chosen tag is vastly more effective than two or three dubious ones. Tweets with hashtags, showed 12 percent more engagement, when compared to Tweets without a hashtag. A study of the world’s top 100 brands’ Twitter activity, reveals that they have adopted the use of hashtags almost completely. Retweeting high-quality, relevant tweets from other sources is a great way to enhance the value of your own account, but once again, moderation is key. An endless stream of retweets will overload your audience and likely lead to a hemorrhaging of follower counts. Make sure your retweets are always relevant and interesting, and if possible, insert a short comment to add value and imprint your own account’s personality. Selecting good retweet candidates is vital if you’re going to employ this tactic, and Twitter’s list feature is of great help here. Set up custom lists of accounts which may offer retweet possibilities, sorted by niche or tweet type (news, humor, tips, etc. ), and dip into these account lists occasionally for valuable posts your followers might appreciate. Here is a great article on how to retweet the right way. Including a striking image or video in your tweet will help it to stand out within crowded timelines, but as ever, overuse or careless use of this technique will dilute its effect. Choose your images carefully so that they pique the interest of readers while remaining relevant to the tweet’s topic. Attracting attention with an image only to fail to live up to its promise will work against you. Also, unless your intention is to provoke controversy, be extremely careful that your chosen images won’t cause offense. Bear in mind that Twitter is a global medium, and standards of offensiveness can vary widely across the world’s cultures. According to Twitter, Tweets with images get 313% more engagement. As the saying goes, a picture is worth a thousand words. You can expand your message beyond 140 characters with a great picture or a video. The nature of Twitter means that your carefully honed, pithy tweets can easily be buried deep in a follower’s timeline. This is especially the case in a global market, where tweets posted while the follower is asleep may never be read, overwhelmed by the following hours’ activity. To get around this, use the Tweet Activity Dashboard to find out out which timezones your tweets are being read in, and ensure that you tweet at appropriate times. If necessary, consider using automation to send multiple, timely versions of especially important tweets to achieve maximum visibility, but vary the tweets slightly in each instance to avoid spamming your followers with obvious duplicates. Social media is definitely the online marketing buzz of the moment, but there’s solid value behind the hype. Most of the various platforms offer huge potential for marketing, and Twitter is no exception. While your competitors are focusing on Facebook, why not see how powerful a well-crafted Twitter strategy can be? Are You Struggling to Get Testimonials for Your Sales Page?